Pat Cheney trained in Fine Art at Falmouth College of Art. Although trained in fine art, Pat Cheney. In 1976 she launched Pat Cheney Jewellery. Although trained in fine art Pat also pursued ceramics and knitwear design. In 1990 she relinquished Pat Cheney Jewelley Ltd to Ortak Jewelley, Kirkwall, then in 1992 set up as ‘Chenevive’, continuing to specialise in silver with vitreous enamel and John Ditchfield’s art glass. 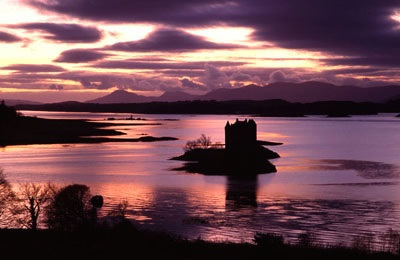 Pat now trades from her studio workshop at Port Appin Pier in Argyll. Specialising in unique silver and enamel designs, hand wrought gold with diamonds and she also creates one off silk art pictures , which have added a new dimension to her creativity. 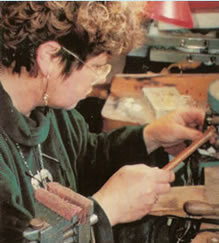 Pat has won numerous awards, including “The Scottish Goldsmiths Design Award “ in 1984. Her design involvement and commissions include Liberty & Co, London, The V&A, The Design Council, Tiffany’s New York, David Andersen (Oslo, Norway) and Glasgow Museums and Kelvingrove Art Gallery. In the USA, my work has been exhibited at Boston Museums, Metropolitan in New York, Chicago Institute of Architecture , and the County Museum of Art in Los Angeles. Alchemia, 37 Thistle Street, Edinburgh. Kranenburg Fine Art, Star Brae, off Argyll Square, Oban.